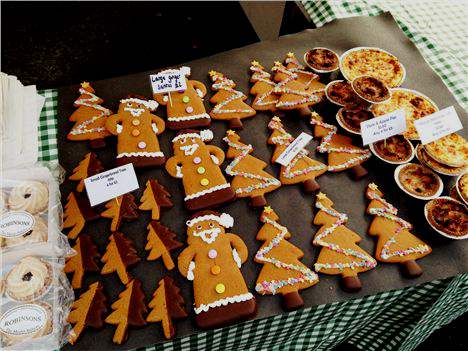 NIGHT Market – FRIDAY 28th November – GOODIES on sale! This being Levy, even our dedicated gift market cannot be allowed to pass without a hefty dose of good food and drink: the seasonal cheer will be in full flow on Friday night, courtesy of the real ale bar and large covered seating area provided by Those Four Mobile Bar and shoppers will be kept in the Christmas spirit, with mulled wine and other seasonal warmers flowing from market favourite The Buttery, who will be dishing out traditional wassail and smoking bishops (warm port, infused with burnt orange and clove). There will also be plenty of hot food on sale from speciality street food vendors including market favourites Mio Pizza and traditional polish pierogi from Olo Kitchen Oh AND entertainment will be provided throughout with children’s face painting and badge making from 4.00pm, carols from local choirs and music from local bands and DJs taking us through into the night! Food options listed below, gifty listings here and entertainment details revealed very soon! NIGHT Market – FRIDAY 28th November – GIFTIES on sale!